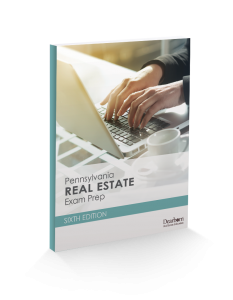 This exam prep booklet, written by real estate experts and professionals in the state, is ideal when used in conjunction with our Pennsylvania prelicensing titles. It features questions on real estate commission, licensure, and regulation of conduct licensees—designed to mirror PSI style to help students master the state-specific portion of the real estate licensing examination. This book will help prelicensing students prepare for and score higher on the Pennsylvania state-specific portion of the real estate licensing examination. Detailed information about examination and study strategies, practice questions, and answer keys that feature in-depth rationales make this a must-have resource.